The Envantage Aviation Fuels Analyzer provides determination of mono-aromatic and di-aromatic hydrocarbon group types in aviation kerosenes, jet fuels (Jet A, Jet A-1) and petroleum distillates (50-300°C) using HPLC with Refractive Index Detection (RID). The test method is applicable for petroleum distillates with mono-aromatic hydrocarbon content of 10-25 % m/m and di-aromatic content of 0-7 % m/m. The analyzer meets the precision and quality control specifications of the ASTM D6379 (and the equivalent IP436) standard test method. 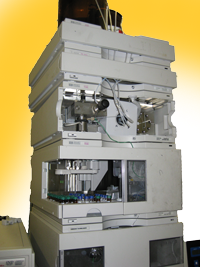 The analyzer can be built on NEW (i.e Agilent 1260/90 Infinity) or refurbished (i.e Agilent 1100, 1200) HPLC systems. On-site installation, performance verification, and training services can be provided.